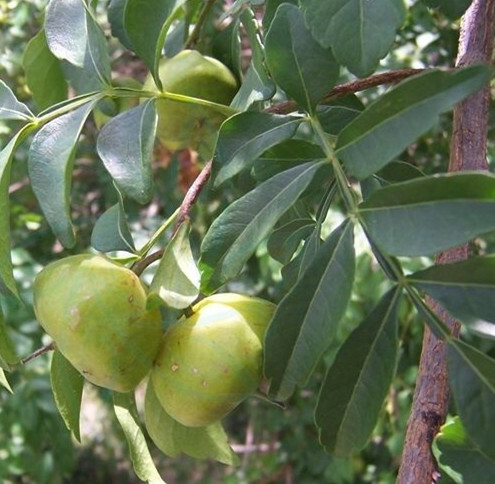 The drug is the dried or fresh root or leaf of Harrisonia perforate (Bl.) Merr. (Family Simaroubaceae), growing on mountain slopes, in forests and scrubs on mountainous areas, and distributed in Guang dong and Hainan of China. Clear heat and prevent malaria. Decoct 10~15 g, or double the dosage with the fresh.